Emirates today launched the world’s shortest scheduled A380 service, flying a distance of 379 kilometres with a total travel time of 1 hour and 20 minutes from Dubai to Doha, and 1 hour 10 minutes on the return journey. The A380 flight touched down this morning at Hamad International Airport, taxiing in to a water cannon salute and was welcomed by key officials and trade guests at an Emirates reception at the terminal. Travelling on the flight from Dubai was Adil Al Ghaith, Emirates’ Senior Vice President Commercial Operations, Gulf Middle East and Iran and prominent members of the UAE business community. At the terminal, guests enjoyed a guided static tour of the iconic double-decker aircraft. The tour gave guests a chance to see first-hand some of the most iconic Emirates amenities, like the First Class Private Suites, Shower Spas and the popular Onboard lounge for First Class and Business Class passengers, which offers a wide range of drinks and canapés, as well as ample space to relax and socialise with other passengers. Outbound flight EK 841 departs Dubai at 0745hrs, arriving in Doha at 0805hrs. The return flight, EK 842, departs Doha at 0950hrs, arriving in Dubai at 1200hrs. The timing of the A380 service means customers from Doha flying to popular destinations like New York, London Heathrow, Frankfurt, Manchester, Dusseldorf, Milan, Paris, Rome and Amsterdam, can now enjoy a seamless A380 experience and also have a wider choice of “all A380” flight itineraries for their journeys. Emirates has steadily grown its presence in Doha and now operates with nine daily flights, making it the most served destination in the airline’s network. Demand between Dubai and Doha is strong, and in the last five years Emirates has carried over 3.7 million passengers between the two cities. The Emirates A380 serving Doha operates in a three-class configuration, with 429 generously pitched seats in Economy Class on the main deck, 76 flat-bed seats in Business Class and 14 First Class Private Suites on the upper deck. Passengers in all classes can enjoy Emirates’ exceptional hospitality as well as its multi-awarded ice Digital Widescreen in-flight entertainment system with a choice of over 2,500 channels on-demand, including a wide selection of Arabic programming. The double-decker A380 is the world’s largest commercial aircraft in service, and has been tremendously popular with travellers across the globe with its spacious cabins and quiet journeys. 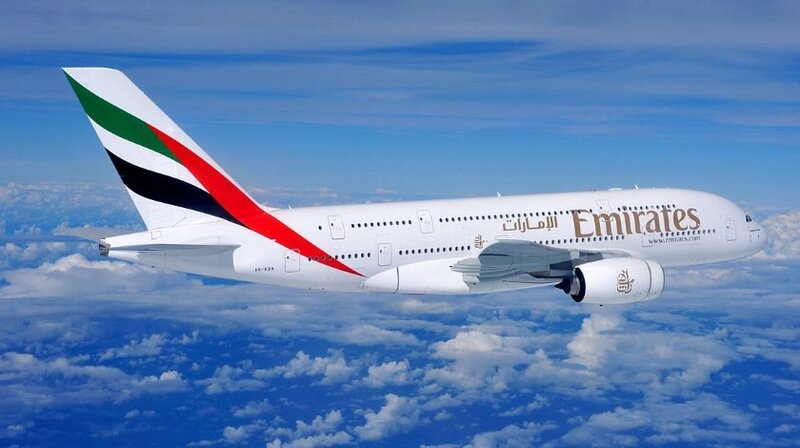 Emirates is the largest operator of this aircraft and currently has 87 A380s in service and 55 pending delivery. The airline currently operates the A380 to over 45 global destinations.